Sewing leather made easy? How? Thick leather means frustration and broken needles. Thin leather means all the problems of sewing any slippery, utterly malleable material, only you'll feel much worse if you make a mistake. And in either case, working with leather means working with a medium that shows every false start, every removed stitch and costs a great deal more than just about any other material you can work with. Forget sewing leather made easy. Try sewing leather made effective the first time around. Sewing with leather is difficult, but if you do it right, the results can be stunning. But how do you do it right? It turns out there are a few tips and tricks that can make sewing with leather easier, more precise, and more effective. Sewing With Leather Made Easy: By Hand or By Machine? Once you've worked with different kinds of fabric, adding leather to your repertoire can give you a whole new range of projects to try out. Not just clothing, but also purses, wallets, belts, and many other useful and fashionable accessories. It can be fun and rewarding to learn a new technique. And, if you want to take it to the next level, it may eventually be an excuse to add to your sewing machine collection. This depends, of course, upon the leather you're using. Specifically, the thicker the leather, the more difficult it will be to sew by machine. It's possible to sew thick leather with a special, heavy-duty machine, such as a Sailrite. Sailrite machines are specially made to sew leather, canvas sails, and other heavy fabrics. 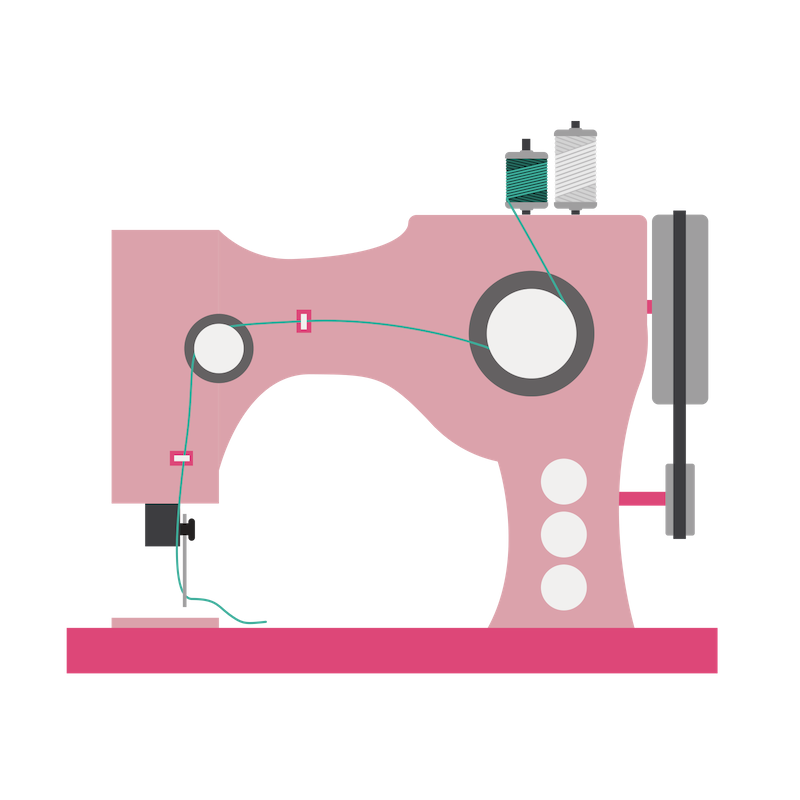 But at some point, if you don't have access to an industrial heavy-duty sewing machine, your best option will be sewing by hand. Generally, we measure the thickness of leather in terms of ounces (or sometimes millimeters). Those who know recommend that you not sew leather of greater than three-ounce (1.2mm) thickness on a regular home sewing machine. For thicker leather, you may need to sew by hand. Here's a handy chart of leather weights and conversions. You will, of course, need to take the parameters of your project, as well as your materials into consideration. However, if you want to sew your leather by hand, here are the basic steps. First, use leather glue to glue the edges of your pieces together. This will keep the pieces from moving around. Also, it will allow you to ensure that the edges stay straight. Next, mark or groove the leather along the stitching line. If you have a leather groover, use it to draw a groove parallel to the edges, where you intend to stitch. If you don't have a groover, you can use a pencil and ruler to draw the line. After that, use your awl to make the holes along the stitching line where your stitches will go. Make sure to space your stitches evenly. This will give your finished work a professional look. Finally, thread your needles with waxed thread. Waxed thread is the best kind of thread for sewing leather, and you will be using both needles. 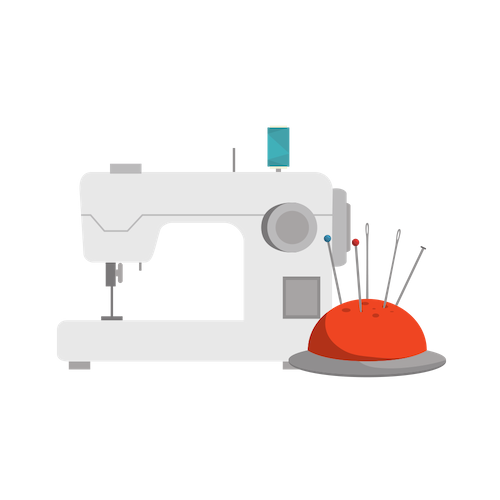 This website has detailed, illustrated directions for two-needle leather sewing. It is possible to use a home sewing machine to sew leather. However, the thicker your leather, the more you should consider using a heavy-duty machine. And of course, sewing very thin leather brings its own issues as well. You might be tempted to skip this step and go with your regular sewing machine foot and needles. Don't. With thick, slippery layers of leather, you'll need to do better. The walking foot, favored by quilters, is ideal for sewing thick layers of material. The Teflon foot, also called the non-stick foot, keeps sticky materials like leather from adhering to the foot plate and the bottom of the foot. As for needles, leather needles are thicker and can stand up to the punishment of punching holes in leather. You can expect regular needles to not only break under the strain, but also to make a mess of your work as a result. Finally, you will not be able to use pins or glue on thick leather. You will not want to use pins on thin leather, either, as they will leave unsightly marks. And after all the money you spent on that leather, you don't want to do that. Clips can hold your work without damaging it. Sewing leather isn't like blazing through quilting cotton. There are different rules. You'll want to move your work through the machine slowly and steadily. Thick layers will be hard on your machine. Moving slowly will minimize wear on the motor, as well as the potential for breaking needles. If the motor begins to sound labored, try changing the needle, or hammering the seam so that it's a little thinner. Leather often sticks to the bottom of the foot and the footplate. This can cause huge problems for your work. In addition to using special presser feet, you can put clear cellophane tape on the bottom of your sewing machine foot to help it slide over the work. The importance of maintaining the correct thread tension cannot be overestimated. Once you have your tension where you think it should be, sew some test stitches to make sure. You'll want the stitches to hold the pieces firmly, but not too tightly. When you press the seam to one side and topstitch it, you should not see the stitches. Just like with other kinds of fabric, you can use an iron to remove wrinkles from thin leather and to make it lie flat. Always remember to use a press cloth to protect the leather from burns and any sort of dirt that might be on your iron. A hammer can come in handy in a number of situations. First, if your work is slightly too thick, it can cause your machine's motor to labor. Hammering it gently along the stitch line can make it thinner so that it won't be as rough on your machine. Also, hammering a seam once you've sewn it can make it easier to topstitch. Again, covering the work with a press cloth can help to protect it from damage from the hammer. And speaking of topstitching, doing so will help your seams to lay flatter. It will also make them more attractive. Sewing leather is a lot different than sewing other kinds of fabric. But it's not impossible. It's not even that difficult if you take your time, use the right equipment, and work with confidence. 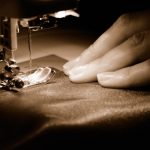 Are you an experienced leatherworker? What tips or tricks would you suggest for sewing leather made easy? Let us know in the comments. 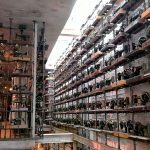 Previous articleThe Brother CE1008 Sewing Machine: A Bargain or a Bust?